SAP first came to eSkillz in a need to enhance their 'Administrator Training' - Learning Management System (LMS) offerings. As an expert in the LMS arena, SAP wanted to have their customer base have access to a partner that not only could provide meaningful configuration and optimization but that could also build custom and blended administrator training including onsite workshops, online webinar training and customized job aids and quick LMS cheat sheets. Now eSkillz is assisting to support both the legacy SAP SuccessFactors Learning LMS as well as their enhanced SAP HCM Clould platform. With multiple support solutions available including LMS implementation, LMS System Admin Services, LMS Admin Training & LMS End-User Live Support, SAP customers now have access to proven support suite to maximize their SAP solutions. Join eSkillz for SAP events throughout the year! 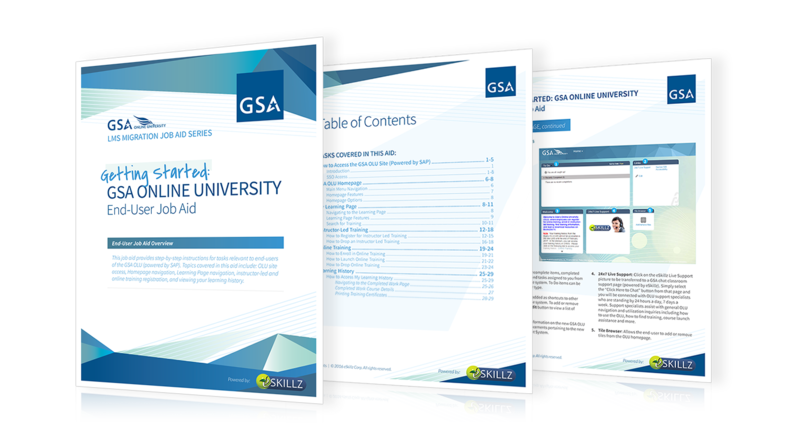 GSA came to eSkillz with a critical need to provide quick and customized Administrator Training for their Learning & Development team who was in the midst of migrating from a legacy LMS platform to the new SAP HCM Cloud platform. Much of the effort had been focused on the implementation itself that the Administrators did not feel ready and capable to manage the new LMS subsequent to GoLive. While SAP did provide a host of information resources, GSA needed a much more in depth training plan to meet their very unique and custom needs around specific administrative job roles at GSA. eSkillz was able to dive into the project by first assessing their LMS organizational structure, mapping out the targeted LMS job roles and then customize targeted LMS functionality and configuration necessary per job role. The Phase I Training rollout included monthly live webinars and corresponding customized job aids per session. The rollout was such a success that GSA has embarked on four more phases of targeted training efforts around their use of the SAP HCM Cloud platform. Improved Administrator experience – The organization's administrators now have the hands-on training around their specific use of the SAP HCM platform. 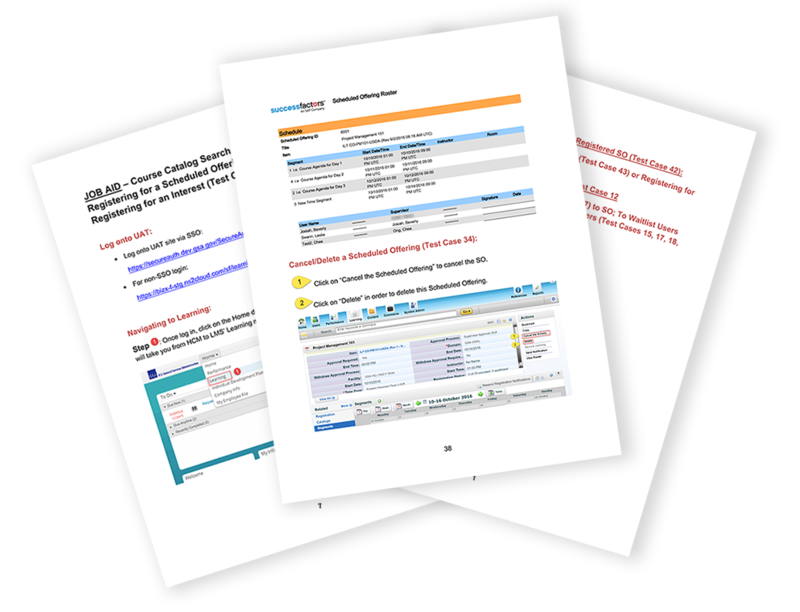 Customized job aids with step-by-step instructions – All training included corresponding customized job aids that included SAP LMS screenshots and guided step direction on exact functionality direction in GSA's specific SAP instance. These were highly applauded as instrumental for allowing GSA Admins to use as they embarked on configuration on their own.